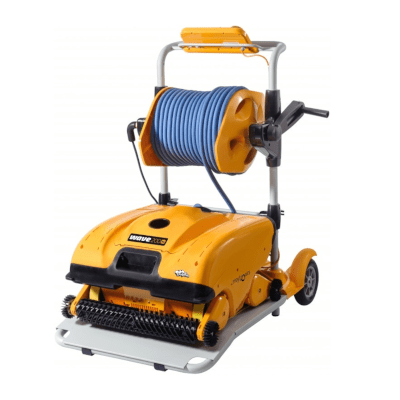 State-of-the-art programmable tracking systematically cleans the pool floor one path at a time with a suction rate of 8,976 Gal/hr (34m cubed/hr). Spiral flow system spins the water with large debris off the course filter net. The course filter mesh retains the large particles allowing the cartridge filter to run longer. The ultra-fine debris is caught in a large pleated cartridge filter. Top access, with snap-in/out separation of the layers, for easy and convenient maintenance and cleaning. Brushes spin at 1.5x the speed of the robot to efficiently sweep dirt from the front and sides. Unique Spiral Brush sweeps dirt from both sides of the robot towards the center of the vacuum. Four side brushes clean the corners between the pool floor and walls. Automatic pool entry and exit using “Drive to pool” and “Drive home” features. 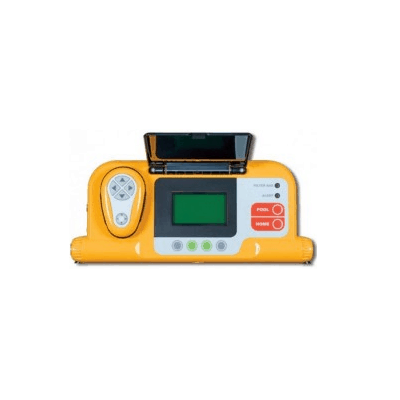 Choice of programs and multiple operation modes displayed on a user-friendly LCD screen. 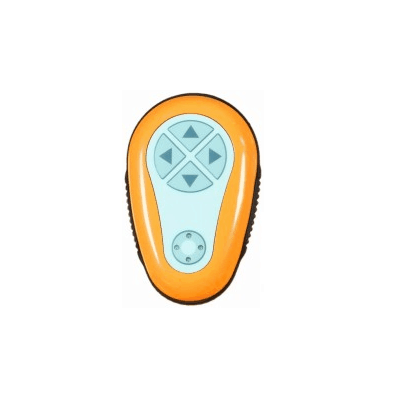 Remote control for manual manoeuvring to clean hard-to-reach pool corners. You can Click Here to view the Owners Manual.